Wed., 26 Feb. - Mon., 9 Mar. Tue., 4 Feb. - Tue., 11 Feb. Sun., 12 Jan. - Tue., 21 Jan. Mon., 24 Feb. - Fri., 6 Mar. Fri., 31 Jan. - Sat., 8 Feb. Mon., 3 Feb. - Fri., 21 Feb. Thu., 4 Jul. - Tue., 16 Jul. Mon., 24 Feb. - Sun., 8 Mar. Tue., 28 May - Fri., 7 Jun. Thu., 30 Jan. - Tue., 18 Feb. Mon., 3 Feb. - Mon., 10 Feb. Tue., 4 Feb. - Thu., 20 Feb. Mon., 13 Jan. - Tue., 21 Jan. Sat., 1 Feb. - Sun., 23 Feb. Sun., 7 Jul. - Tue., 16 Jul. Sun., 7 Jul. - Mon., 15 Jul. 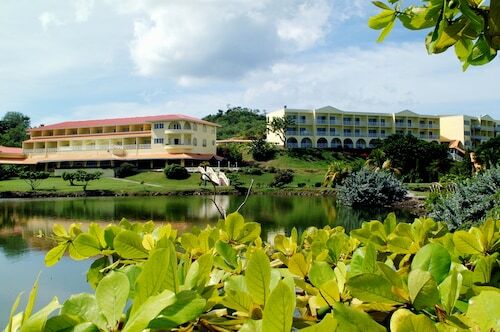 Thu., 6 Feb. - Thu., 13 Feb.
See all 132 properties in Maurice Bishop Intl. 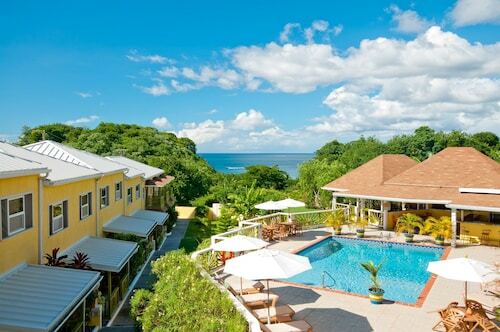 This beach front resort is built in grand Palladian style, offering stunning views across the hills to Tamarind Bay and over to St. George's, 6 miles away. Located in St. George's, this beachfront hotel is next to a golf course, just steps from Grand Anse Shopping Center and Grand Anse Beach. St. George's University is 2.4 mi (3.9 km) away. Nestled on the beach, this St. George's hotel is 0.1 mi (0.1 km) from Magazine Beach and 2.5 mi (4.1 km) from St. George's University. Pink Gin Beach and Portici Beach are also within 1 mi (2 km). Located in St. George's, this beachfront resort is in the historical district, 0.2 mi (0.3 km) from Portici Beach, and 2.1 mi (3.4 km) from St. George's University. Magazine Beach and Pink Gin Beach are also within 1 mi (2 km). 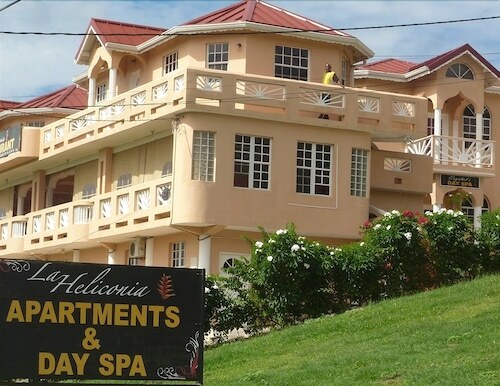 Situated near the airport, this spa apartment building is 0.4 mi (0.6 km) from Magazine Beach and within 3 mi (5 km) of St. George's University and Grand Anse Beach. Portici Beach and Pink Gin Beach are also within 1 mi (2 km). 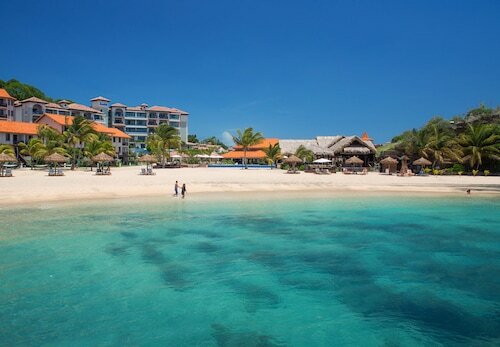 Sandals Grenada Resort and Spa - All Inclusive Couples Only is on the waterfront, located along Pink Gin Beach on the southside of the island, close to nightlife, markets, and several other beaches. 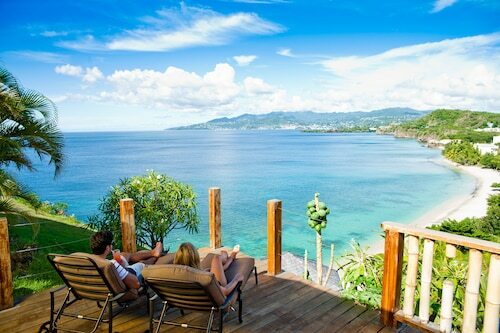 Maurice Bishop International Airport is just 5 minutes away. 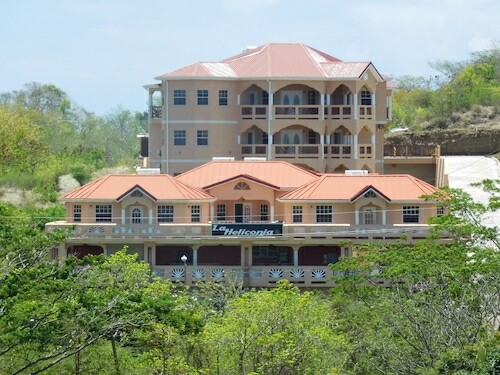 Situated near the beach, this aparthotel is 0.6 mi (0.9 km) from Magazine Beach and within 3 mi (5 km) of St. George's University and Grand Anse Beach. Portici Beach and Pink Gin Beach are also within 1 mi (2 km). 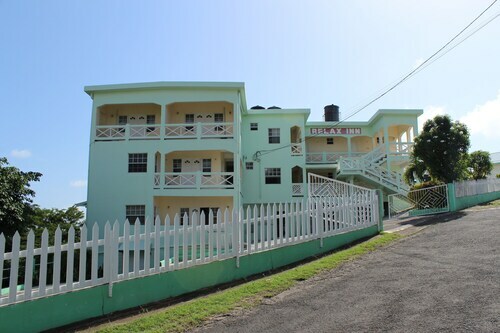 Situated in St. George's, this apartment building is 0.5 mi (0.8 km) from Magazine Beach and within 3 mi (5 km) of Grand Anse Beach and St. George's University. Portici Beach and Pink Gin Beach are also within 1 mi (2 km). I got charged for bags; on the do it yourself kiosk.